SCORM: What Is It And What Do You Need to Know? Home / eLearning / SCORM: What is it? What version of SCORM are you using? Is the LMS SCORM conformant? xAPI might be replacing SCORM in the future. You hear about it in eLearning all the time, but what is it? Other than giving a definition we’ve never really discussed it here. So, let’s change that. 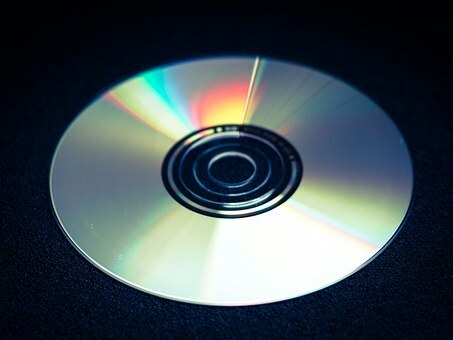 At its most basic, SCORM is like a DVD. DVDs store and play movies. It doesn’t matter if it’s a Disney film, a Universal film, or a film made by another company. As long as you have a working DVD player, you can watch it. In that respect, the LMS is the DVD player. It’s the system that reads the information on the DVD and shows it to the viewer as a movie. Or in this case, it reads the eLearning information and shows it as a course someone can take. But there’s more than one version. There’s SCORM 1.2 and SCORM 2004. (2004 also has several editions, but we’re going to skip that). So, think of 1.2 as a DVD and 2004 as a Blu-ray. 1.2 is older than 2004, but it’s still widely used. 2004 has more special features, but unless you’re specifically interested in them you can probably get by using 1.2. And Blu-rays require a specialized player. You can’t play them in an ordinary DVD player. Some LMSs can read 1.2, some read 2004, and others can handle both. What about the eLearning demos you’ve found online? You didn’t have to log into an LMS to try those. This is where the comparison to DVDs stops being helpful. You can’t play a DVD without a DVD player. But you can view an eLearning course without SCORM or an LMS. To stay away from tech talk, let’s say that most eLearning programs have “with SCORM” and “without SCORM” options. Without SCORM the course won’t play in an LMS. With it, it can play in an LMS or in a web browser. But in a browser it’ll probably show an error message before it starts working. So, if eLearning can run without SCORM what’s the point of having it? This is important. It lets you track course completions and whether the learner passed or failed, among other similar things. In an LMS, that’s important. If someone is showing a course on their website as a portfolio piece, that doesn’t matter. It also lets LMSs track completions, pass/fail, etc. You can thank SCORM for the fact that your new authoring tool’s files work in your old LMS. It’s also the reason you don’t need a programmer on your staff to add courses to the LMS. If it’s doing its job correctly you won’t even know it’s there. Would you like to read more about training, learning, and instructional design? Check out the rest of this author’s blogs.